Africa is one of the most idyllic destinations in the world; dusty pink hues of the sunsets, dinners in wild places and experiences that will make your eyes well and your heart swell. It really is a place to behold, but we believe that we offer some of the most incredible experiences in Africa, especially if you want to have a romantic adventure with your loved one. We have a wide variety of activities that are bound to bring you and your loved one closer than ever. 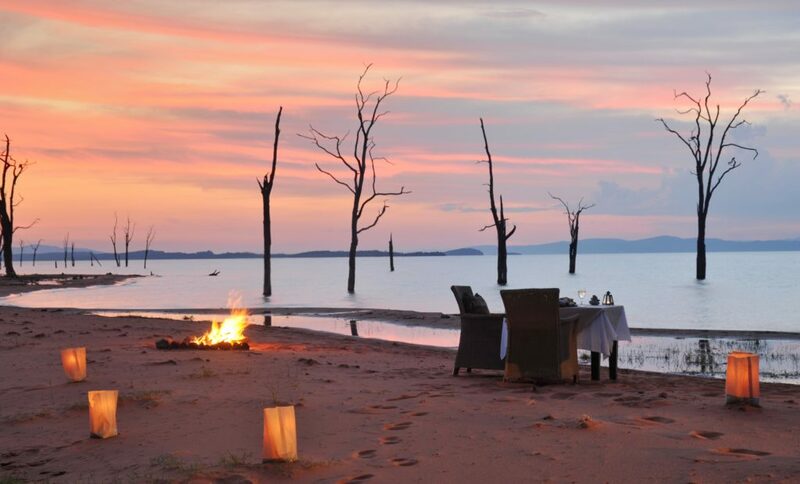 The waters of Lake Kariba is one of the most astounding sights when you visit Bumi Hills Safari Lodge. When flying in, you could swear that you are looking out over the depths of the ocean, the lake is so big. A picturesque boat ride is a must, you will be able to connect with your loved one while the beautiful hues of the sky change from orange to pink, reflecting over the vast lake. Being one of the largest man-made lakes in the world it is a dream to navigate. Journey through the waters on a sunset boat ride which will send you into a dream-like state as you glide through the lake like an enigma. You feel as if you could be the only people on earth, being so remote there is a true sense of place, feeling like you are exploring a secret corner of the world no one else knows. One of the top bucket-list destinations is the majestic Victoria Falls and no wonder why. 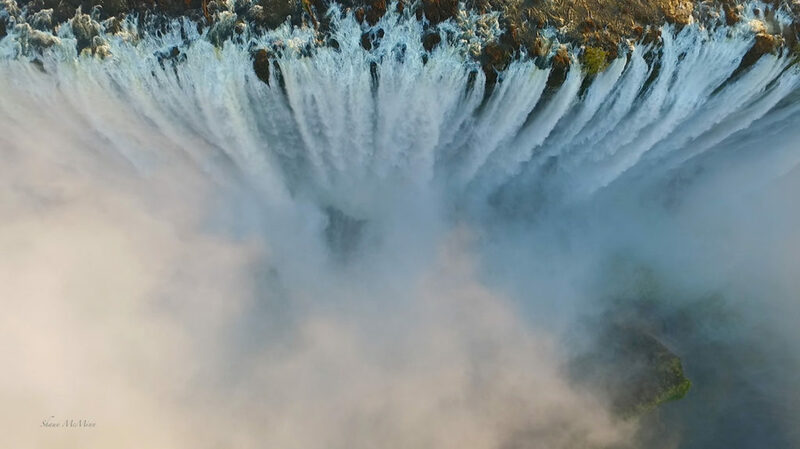 This incredible UNESCO World Heritage Site is a sight to behold and is one of the 7 Natural Wonders of the World, set in the Mosi-Oa-Tunya National Park which is translated to 'The Smoke that Thunders'. Thorntree River Lodge is our accommodation set on the Zambian side of the Falls, we offer a Victoria Falls visit from a more unique perspective; from the Zambian side in high water times, and a visit to the Zimbabwe side during low water times. The benefits of staying on the Zambian side are abundant, you are offered more tranquillity from the tourist chaos, you don't get any noise pollution from helicopters and the likes, Zambia has all the same access to adventurous water activities, such as white river rafting and incredible sunset cruises. Other than just Vic Falls, other bucket-list items could include, seeing the vast elephant herds or the legacy of Cecil in Hwange National Park, visiting the vast Lake Kariba and catching that 'elusive' Tigerfish, and sitting river-side on Mana Pools on the Zambezi River. Africa is truly an unending paradise. What could be more sentimental than a relaxing massage with your loved one in a wildly romantic setting? 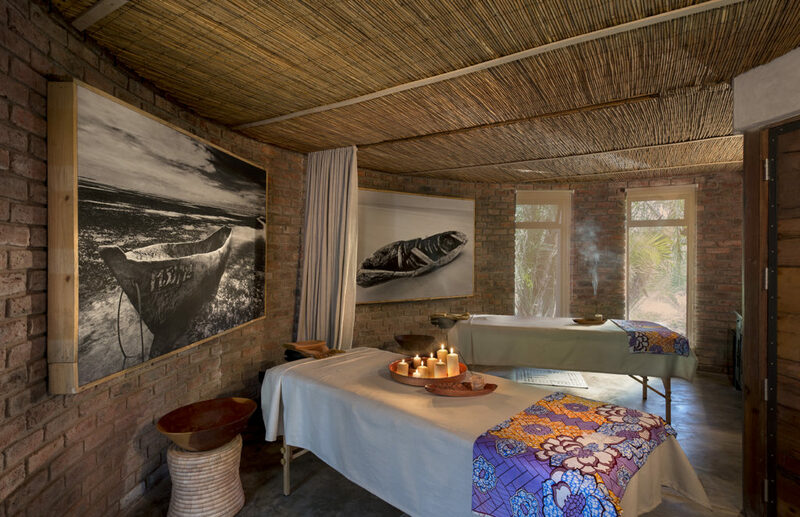 Thorntree River Lodge's Spa is located in an incredibly beautiful, serene setting. The lodge is found on the banks of the Zambezi River within the Mosi-Oa-Tunya National Park, where tranquillity meets luxury. Equipped with private pools and a spa, it is the perfect destination to rest, rejuvenate, and revitalise you on your holiday. Bumi Hills also offers a range of relaxing spa treatments, with a spa zone that offers specialised massages to really get you relaxed and calm for your holiday of a lifetime. There are many benefits of a therapeutic massage, it's good for your health, for your body and your overall wellbeing. So kick off your safari boots and lay back and let the tensions ease and modern pressures fade away to a distant memory. Hidden in the Chobe Enclave is the Linyanti Wildlife Reserve, which boasts incredible wildlife including an astounding number of buffalo and elephant. The area set is on a concession which means exclusivity and privacy is top of mind when organising a romantic getaway. If you stay at Linyanti Bush Camp or Linyanti Ebony you receive a free 30-minute scenic helicopter flight based on minimum 3-night stay between April and November. 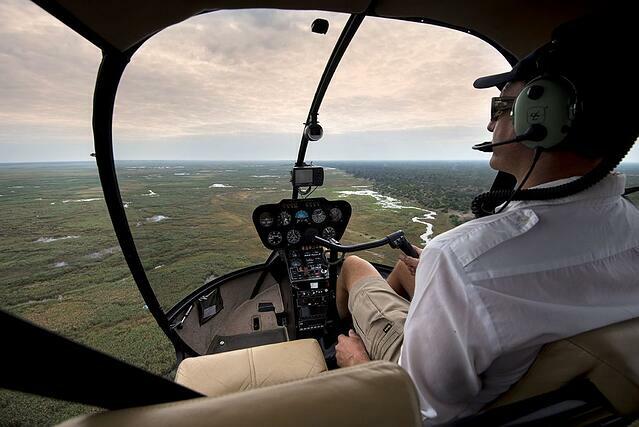 It is an incredible experience to have with your loved one as you fly over the incredibly breathtaking marshes, over herds of wild animals, clearly a unique perspective for a safari. The camp can also organise a spot to land, have a sundowner and a dinner for two. * I mean, what could be more romantic than watching the wild world from above on an open door helicopter ride and landing at your whimsical dinner destination. A mokoro is a traditional dugout boat that ancient fisherman used to use to catch fish for the village, it was once the only way to travel on the Okavango. 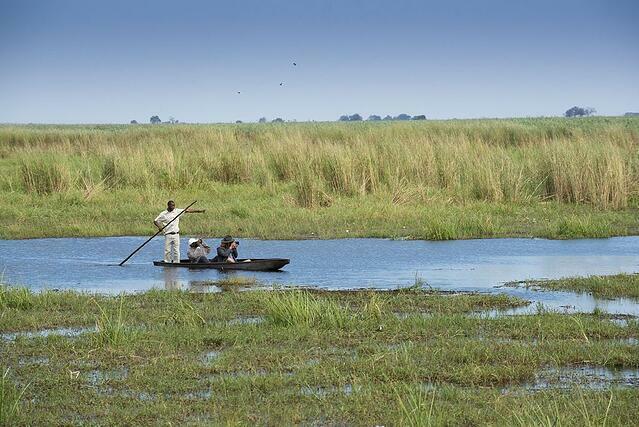 At Khwai Tented Camp, it is the best way to experience the tranquil and dream-like floods of the Okavango Delta. As you glide through the meandering slipways and channels you will be bound to see various birdlife, reed frogs and the occasional land animal crossing the waterways in front of you. 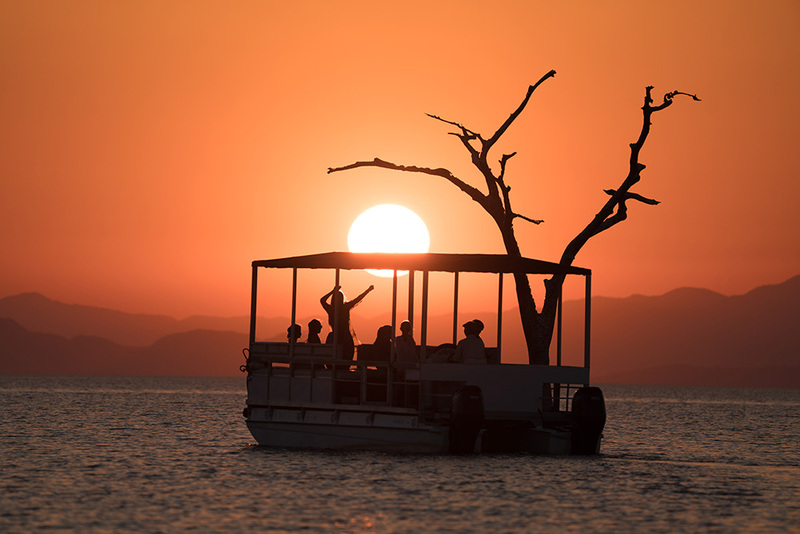 The Mokoro has been referred to as the 'gondola of Africa', and no wonder with the dreamy experience of the reflections of the sky which melts into the water, it is really an other-worldly experience that is made for a picture-perfect romance. So there you have it, all the starry-eyed, dreamy and adventurous reasons we want you to travel with us to experience our Romantic Africa. *Please specify all activities beforehand while organising with your Safari Aficionado, so that we can craft a romantic experience for you and your loved one, just the way you want it. The more information the better.